Industry leading reel manufacture, these reels will take anything you throw at them! Proudly made in the USA! Pat makes some amazing flies. Some look too nice to fish, but they are durable, and will get any fish's attention. The best vise on the market. USA made and extremely user friendly. With a quick switch of the vise head, you can tie anything! From small trout flies to oversized musky flies, Partridge has the perfect hook for you. Super sharp points that last and stick! 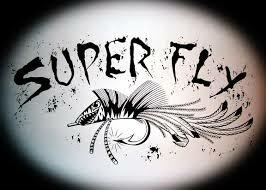 The best fly lines on the market today. Not much more needed to say here. An awesome local PA based company specializing in American sourced alpaca wool hats and more. Amazing waders, technical fishing equipment, and accessories. I am an Orvis Signature fly designer. They have some great products, and I am honored to be associated with this company.